A safe & approved way of lifting products with a forklift. One near miss is too much! 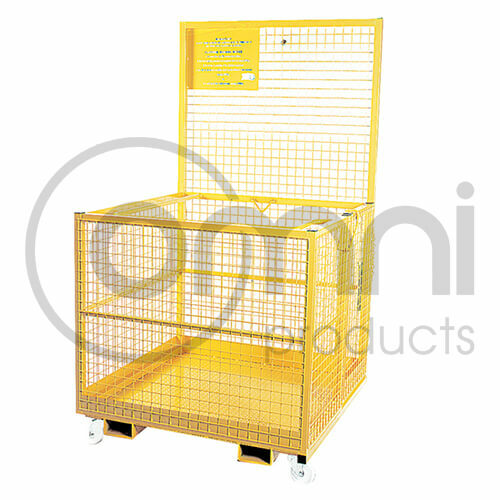 – Castors for ease of storage when not in use. – Internal hand rails prevent finger crush. – 40mm square tube construction, pins supplied for attaching fork.